Adjustable and padded back support with compression to help relieve low-back pain. Does back pain distract you from daily activities? The DonJoy Advantage Stabilizing Back Support is a low-profile back brace that helps relieve low-back pain or strains. Made of elastic material, the Stabilizing Back Support delivers compression to soothe pain while the dual stretch panel design provide extra support so you can move with less pain. Easy and comfortable to wear, this slim back brace can be worn discretely under clothing and during low-impact activities. The DonJoy Advantage Stabilizing Back Support is a low-profile back brace to help relieve low-back pain associated to strains. 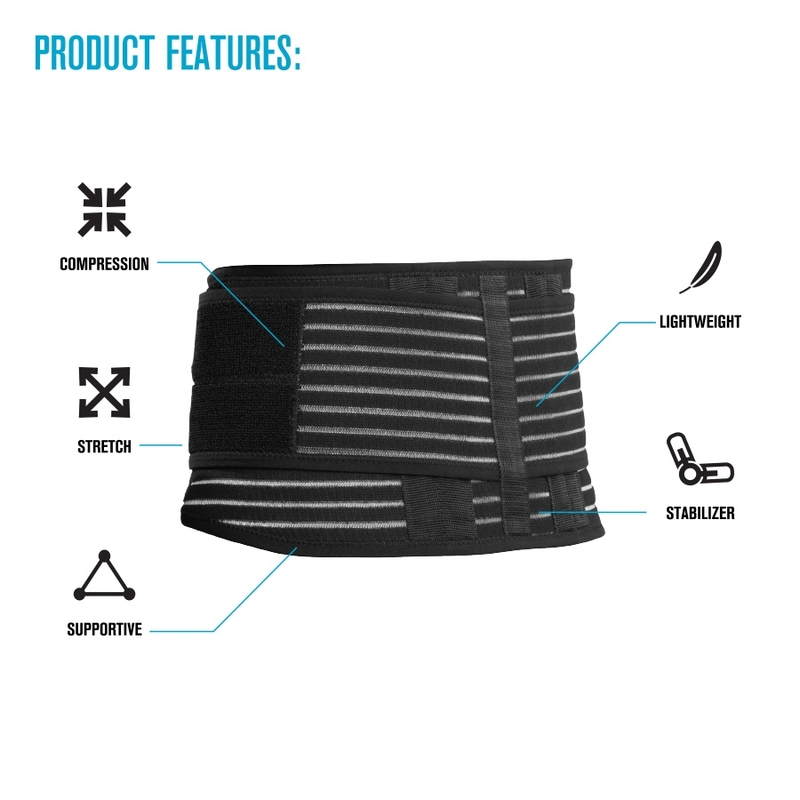 Designed with multiple stabilizers, compression padding and an overlapping stretch panels, this back support allows you to move in comfort all day while reducing stiffness, swelling or spasm and providing stabilization and support. Easy to put on, the Stabilizing Back Support can be adjusted for a personalized fit and can be worn under or over clothing. 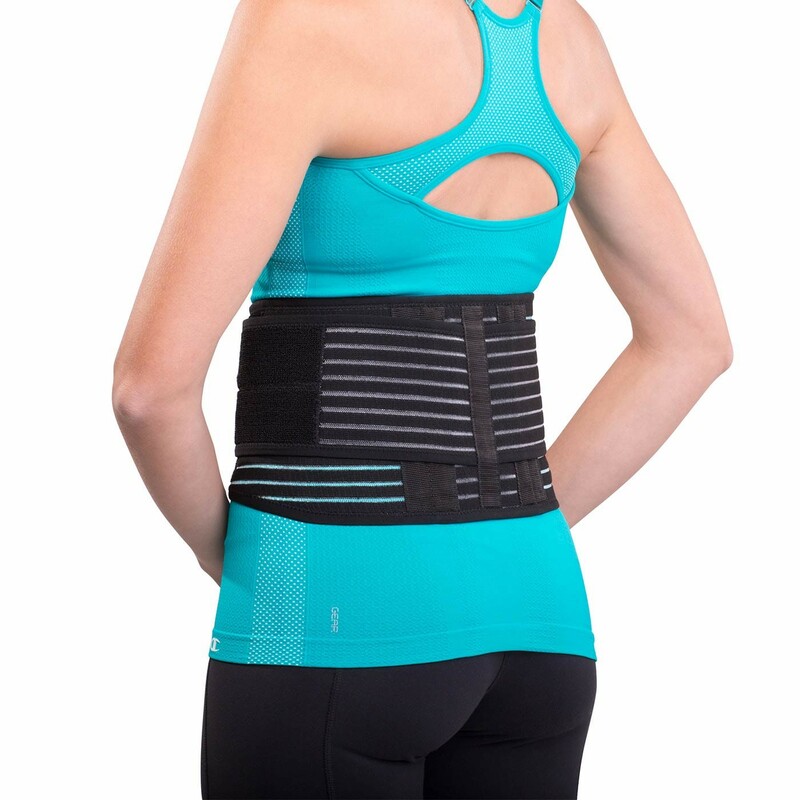 Place the center of the back support on your back and then wrap the brace around your waist. Secure the contact closures in the front. Adjust as needed. Size is based on your waist. Measure around the center of your waist.